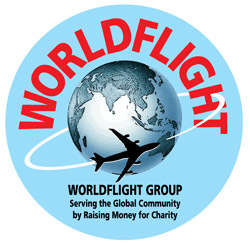 QUICK PICK-UP: if you are looking for the ACARS client to install on top of the Microsoft Flight Simulator, just go here. ACARS by itself is mostly a transport network, used to pass short messages back and forth between aircraft and ground facilities. It can be compared to e-mail, or even better, to cell phone text messaging. However it uses quite different technology, based on either classical VHF transmission or satellite communications. These aspects of ACARS are not simulated by the system I provide; we use the internet as transport layer. Therefore, most aspects of ACARS-as-transport are not relevant for us. We are interested in the applications on top of the ACARS transport network. The most basic one is the Flight Event Reporter, also known as OOOI after the major events: Out, Off, On, and In. These events are detected by the airborne unit using several sensors and relayed via ACARS messages to a ground station. Typically this is the dispatch office of an airline. The ground station runs a program which keeps a list of all currently monitored aircraft and updates the status as OOOI events come in. On top of the OOOI, free-form text messages can be exchanged between aircraft and ground station (or other aircraft). Some of these are routine messages, such as final load figures and arrival information, which can be half-automated. 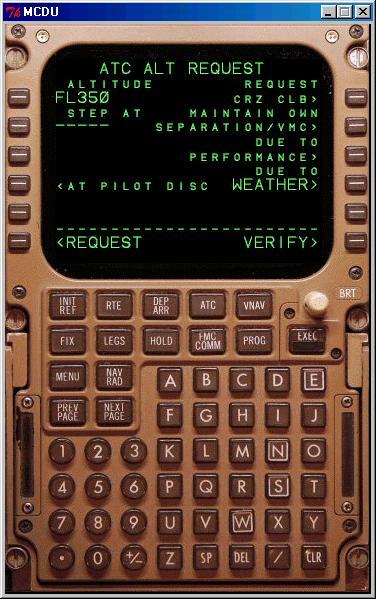 The ground and aircraft stations have functions to manage these messages, such as specific pushbuttons to request them. Some very specific files can also be transferred. Although the ACARS system as implemented here can transfer basically anything, practical files are only flight plans in FMC format. For the PS1 simulator this means ACARS retrieval of full route files, adding to the dispatch capabilities. ADS (Automatic Dependent Surveillance) is another specific application on top of ACARS. It is essentially position reporting, either automatic or on request. The application included in the system described here is "addressed" or "contract" ADS-C in the sense that the position reports are sent to a specific station, which needs to ask for reports. But every station is allowed to ask every other station for reports, so if you want, ADS-B-like operation can also be obtained. As a bonus, some pretty moving map generators are available to plot the aircraft position on a globe. Lastly, a nearly complete CPDLC implementation allows ATC to have an efficient data link with the aircraft. The controller application is separate from the dispatch application; the aircraft application integrates both the traditional functions and ATC but makes them available as if they were separate, just as in reality. There is lots of material on CPDLC available on the internet, see for example this one by the Australians and of course the European LINK2000+ programme. The basic ACARS network transport is quite simple and can be used by basically every application that sticks to the protocol. You are invited to write your own applications on top of this. For airplanes, you need the ACARS Airborne Client. It works both on PS1.3 and on MSFS (MSFS with one extra program), and rolls all features for dispatch and ATC into one program. For air traffic control centers equipped with CPDLC, you need the ACARS ATC Client. It controls the communication between several planes and the center and allows for standardized messages to be passed, exactly like the real CPDLC systems. For company dispatch ground stations, you need the ACARS Dispatch Client. This is a generalized implementation of what airline companies use, without trying to be exactly alike any one company in particular. One place in the world needs to run the ACARS Network and that one place is the server you are now looking at. So you don't need to install this -- it is already there, and running fine. You may as well forget that it exists. But if you really want to, you can also run your own local mini ACARS server -- great for demos on notebook computers. You can look at everything that happens, or see the last known position of selected aircraft (the ones that have ADS-C switched on). Like this map? You can have it on your own web page! Just email me for information and tuning to just your own company.